I'm a freelance writer and small business owner and this is all in addition to my full-time job as a teacher. In other words, my days have little to no downtime. There is always something I could or should be doing. Yet, lately I've been spending (wasting?) way too much time on three things -- three things that are making me a bad blogger because I should be using this precious time producing blog posts. Netflix. About once a week you will hear me loudly declare "Netflix is ruining my life!" People who know me well know there was a time when I hardly ever watched television. I once went two years without even owning a TV. Netflix has changed everything. I watched the first season of The Following in a day and a half. I have a crush on nearly everyone on the show Arrow (including the girls) and 24's Jack Bauer regularly shows up in my dreams to help me fight bad guys. 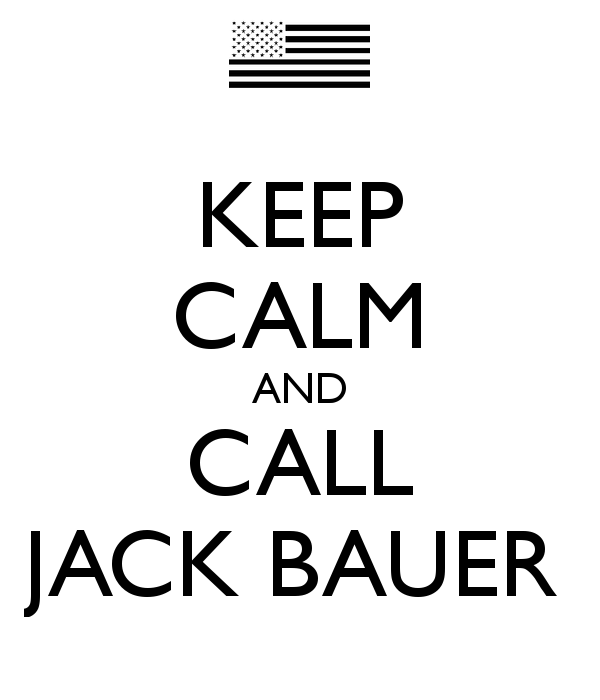 In fact, whenever my husband is watching anything on TV other than 24 I'm thinking to myself "We could be watching Jack Bauer right now." Buzzfeed. Oh Buzzfeed, I wish I knew how to quit you. But it's imperative that I take your quizzes to know what state I actually belong in or what woman from the Bible I would be. And when I read that article for people with unusual names it was like you had crawled into my soul. Facebook. Mark Zuckerberg, you are my pusherman. Facebook is feeding these additions of mine, alerting me to new Buzzfeed quizzes that I MUST TAKE RIGHT NOW and reminding me that 24: Live Another Day premieres on May 5 and thus I have exactly two months to finish all seasons of 24. How are you wasting time these days? I really could have written this post! I know I should quit them all, but it would make me so sad!